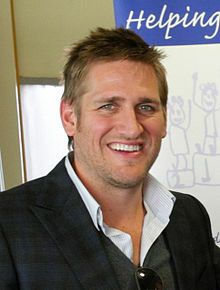 Curtis Stone has been acclaimed as a world-class chef and restauranteur for years. Now, he joins Princess for an exclusive collaboration to bring his delightful cuisine onboard their ships. For a special meal, experience SHARE by Curtis Stone – a six-course fine dining event you won’t soon forget. Every course offers choices (including vegetarian options) to customize your dinner. Begin with an appetizer, then salad, followed by homemade pasta, with main courses from both land and sea, finished with dessert. SHARE is available on the Emerald, Ruby, and Sun Princess. A sample meal might include charcuterie, lemon poached prawn salad, ricotta cavatelli with roasted sunchokes, lobster tail, strip loin steak, and dark chocolate cremeux – ready to pack your bags yet? If you aren’t quite hungry enough for six courses, you can still enjoy main dining room dishes from the Crafted by Curtis Stone line. Savor the delicious fresh ingredients and see for yourself why critics rave about his cuisine. For more information on what’s new with Princess Cruises, contact your advisor at Stellar Travel.